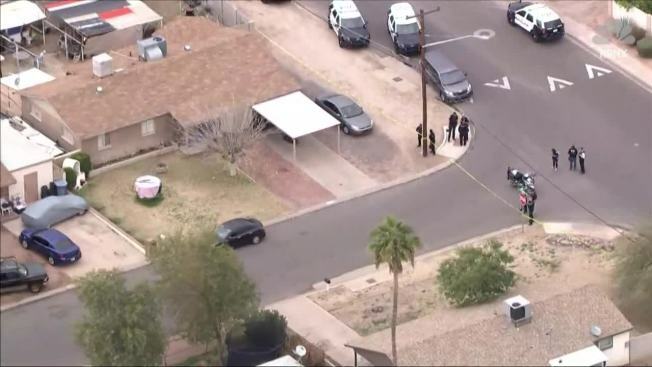 A burglary suspect who was fatally shot by an officer in Tempe, Arizona, was a 14-year-old boy and wasn't in possession of a real handgun, police said. The name of the teen and the officer involved in the shooting weren't immediately released Wednesday. Police say officers reported seeing a car being burglarized Tuesday and the suspect fled on foot holding what appeared to be a handgun. At one point during the chase, police say the suspect turned toward the officers. One officer reportedly perceived that as a threat and shot the suspect, who was later pronounced dead at a hospital. Police now say the teen had an airsoft gun in his possession plus some items removed from the burglarized vehicle. They say the incident was captured on the officer's body camera.